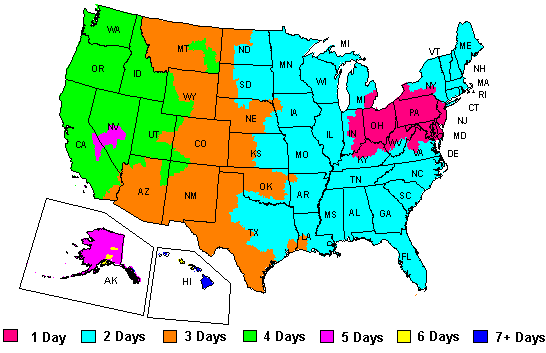 It’s Red, White and Blue Season! It’s not too early to order now for the picnic season. 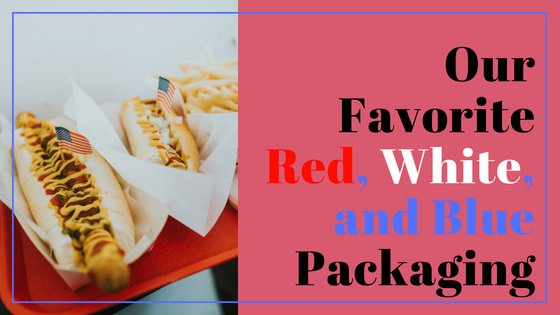 Get yourself and your business in the spirit with some of our favorite red, white, and blue items. They’re sure to give your event a whole lot of patriotic holiday flair. That’s right, they come in red now, too! Dress up your coffee cup with a colorful jacket. Available for 12, 16, and 20 oz cups. Prefer to skip the sleeve and go right to a double wall hot drink cup? 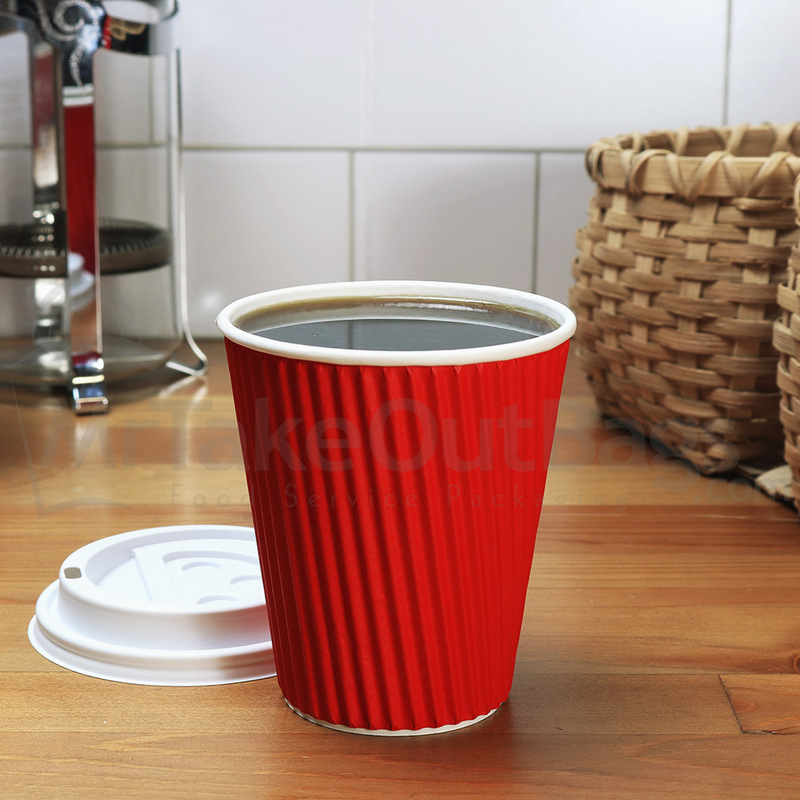 We got you covered with the vibrant ripple-wrap coffee cups in red. Available in 8, 12, and 16 oz sizes. Add a bright pop of color to your next box lunch or catered event with these pinstripe barn boxes. Available in three sizes. For those who want an even more elegant look, reach for the Really Red box. Their stackable feature makes them perfect for catering. Whether you’re selling coffee, baked goods, or even candy – these glossy red bags offer a great flash of color. Also available in 1 pound size. Ideal for gifts but also great for takeout, these eye-catching shopping bags will help your business stand out. These vivid bags add a lot of pizazz when packaging up wine or bread. Classic white paper soup cups may look like an everyday item, but pair them with red and blue packaging and it will show off your patriotic side. Opt for a fresh and sophisticated look with these clean white tin tie bags. Fill with coffee, candy, or pastries. Available in 1/2 pound, 1 pound, and 2 pound sizes. These twisted paper handle bags are not only sleek but also durable. They can hold two bottles of wine, or an assortment of retail items. Available in a variety of sizes, these classic white barn boxes add a tasteful touch to any occasion. 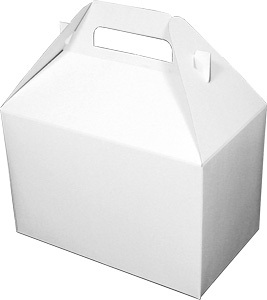 Easy to use and especially great for fried food because of the vent holes, these white carry-out boxes are a must have for many restaurants. Available in three sizes. 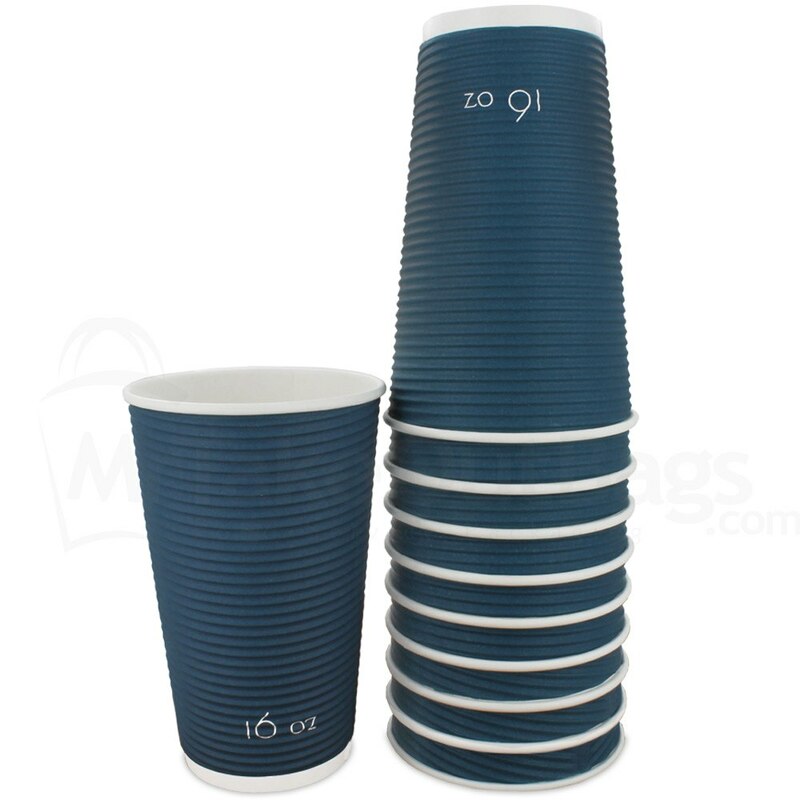 Stand out from all the other coffee shops and bakeries with these rich blue insulated cups. Available in three sizes. Fill your gift baskets and gift bags with this eye-catching blue paper shred. It will help cushion fragile items while enhancing the look of your presentation. A deep, rich blue gives these little shopping bags a level of sophistication. Perfectly sized for gifts and small takeout orders, these are a go-to for a variety of shops and cafes. Customers will love your reusable tote bag, especially this navy blue one!